This will be the new home of the Learn@ Specialist Academy; a special educational needs (SEN) school that will offer 136 places to children aged 5-18. There are currently a number of buildings on the 4.8 acre site, which offer c.10,000m2 (GIA) of accommodation. Bristol has a very competitive property market due to high demand for sites from housing developers; this proved a serious challenge throughout the search for sites for the school, with few sites available or viable in the local area. The LocatED team worked quickly to exchange and complete on the deal off market; the unconditional acquisition was achieved just six weeks from agreeing Heads of Terms. The next steps for the site will include completing standard feasibility work with the view to moving forwards to the planning application process. 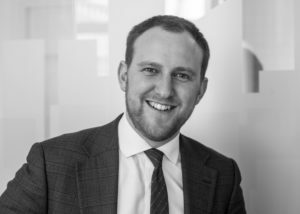 Will Attlee is an Acquisitions Manager at LocatED and is responsible for acquiring sites for free schools in the South West of England. Review the latest site requirements here and get in touch at Sites@Located.co.uk.